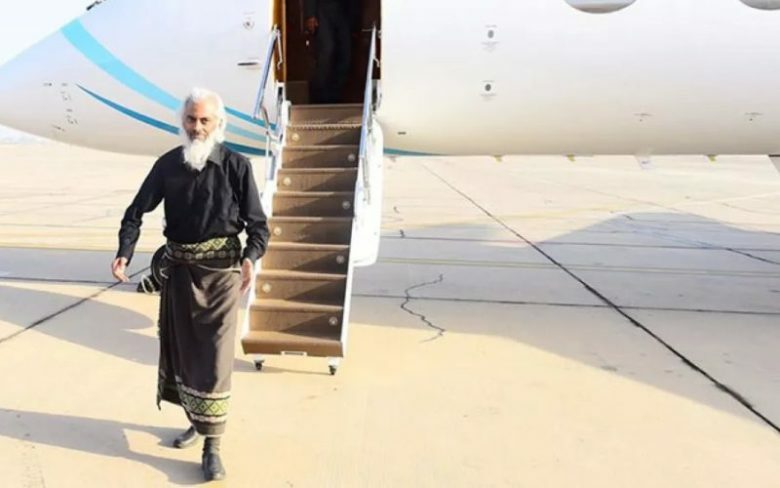 The Indian missionary priest released this week after 18 months as a hostage in Yemen has said his Christian faith helped him to survive the ordeal. 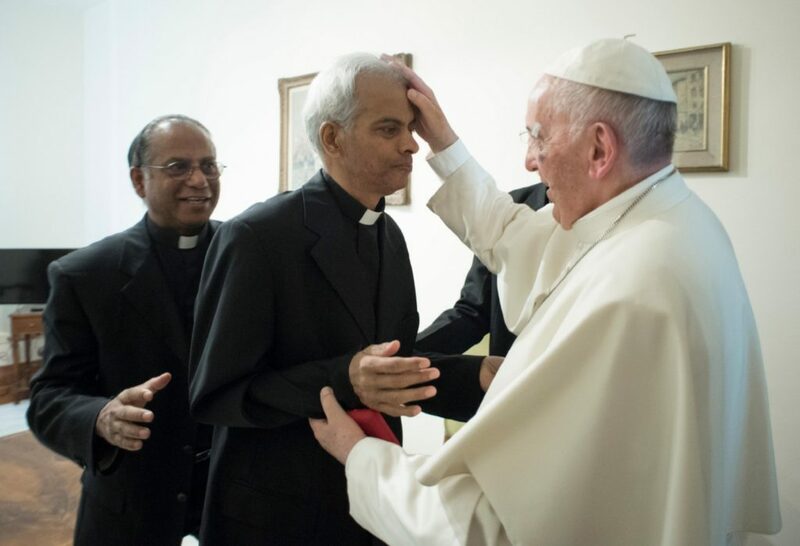 Fr Tom Uzhunnalil, a priest in the Salesian order, met Pope Francis at the Vatican on Wednesday, the day after his release. The priest had been taken captive by suspected Islamist gunmen during a raid on a home for elderly and disabled in the Yemeni port city of Aden, during which four Missionaries of Charity and 12 others were killed. Oman’s state-run news agency ONA reported that Fr Uzhunnalil had been “rescued” on 12 September by the Omani authorities “in coordination with the Yemeni parties”. His release was announced after he had been flown to Muscat in a military aircraft. The Pope was visibly moved as Fr Uzhunnalil knelt to kiss his feet, according to L’Osservatore Romano, the Vatican’s semi-official newspaper. Francis helped him up, kissed his hands, embraced him and blessed him. Francis said he would continue to pray for him as he had done during his imprisonment. Fr Uzhunnalil thanked him, adding that he prayed for him every day and offered his suffering for Francis’ mission and the good of the Church. Describing his time in captivity, the priest, who was looking gaunt, told the pope that although he had been unable to celebrate Mass, “every day, I would repeat to myself, in my heart, all the words of the celebration”. He added that he remembered in his prayers the 16 people who had died during the raid in which he was kidnapped. Videos released during Fr Uzhunnalil’s captivity showed him unshaven, but in his meeting with the pope he had shaved and was wearing clerical garb. The Major Rector of the Salesian order, Fr Ángel Fernández Artime, said Fr Uzhunnalil flew from the Omani capital, Muscat, directly to Rome, where he will spend a few days to rest and receive medical treatment. Fr Artime said that while the order had not been aware that discussions were under way with the priest’s kidnappers, “the Salesian Congregation was not asked for any ransom payment” and was unaware of any payment that may have been made to ensure Fr Uzhunnalil’s release, the US-based Catholic News Agency reported. News of the priest’s release on Tuesday was greeted with relief and joy by India’s Church and government. “I got the news from a contact in Muscat,” Cardinal George Alencherry, head of the Syro-Malabar Church to which Fr Uzhunnalil belongs, told World Watch Monitor, after leading a thanksgiving prayer at St Mary’s Basilica in the Keralan city of Kochi. Cardinal Alencherry had earlier called for special prayers and candlelit vigils after a video was released of the visibly ailing priest in captivity. Father Tom Uzhunnalil, 58, was abducted from the Missionaries of Charity home for the elderly in Aden on 4 March 2016. During the raid, unidentified gunmen killed four Indian nuns, two Yemeni female staff members, eight elderly residents and a guard. 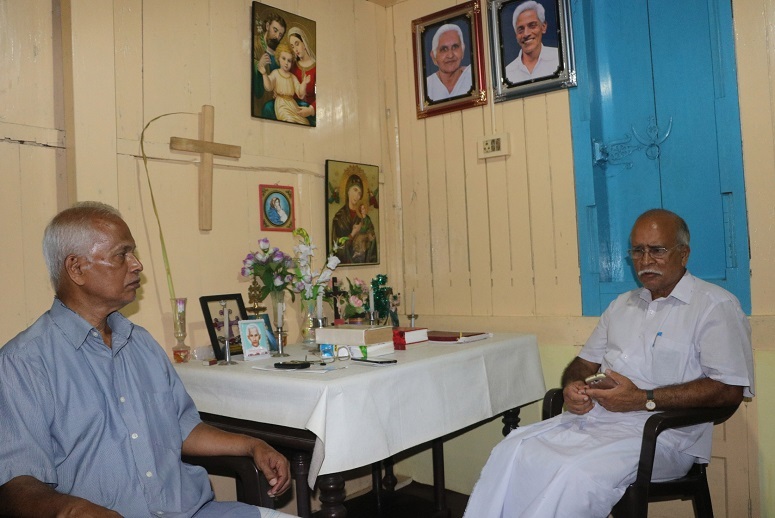 Originally from Kerala, Fr Uzhunnalil had worked in Yemen for 14 years, moving to the care home in 2015 after Aden’s Holy Family Church, where he served, was set on fire. Shortly after the raid, a rumour circulated that the Islamic State group had crucified Fr Uzhunnalil on Good Friday. But then at Christmas 2016 a video of him in captivity surfaced, with the visibly unkempt and ailing priest – who is diabetic and has high blood pressure – urging the government of India and the Church to ensure his release. That led to a series of assurances from the Indian government, while the Catholic Church organised several demonstrations, including a day of prayer and candlelit vigils, urging the government to ensure the kidnapped priest’s safe release. A second video appeal by the priest surfaced on the internet in May 2017, with the priest stating that serious efforts had not been made by the Church or the government to ensure his release. Two months later, in July, Yemen confirmed to India’s foreign minister that Fr Uzhunnalil was still “alive”. After the second video emerged, his cousin, VA Thomas, said his family had been “consistently pleading with everyone to ensure Fr Tom’s release” and had called on several top government leaders. Thomas added that he had led a four-member Uzhunnalil delegation to meet P Sathasivam, the governor of Kerala, along with Oommen Chandy, Kerala’s former chief minister, on 31 May. Three days earlier, the federal government had dispatched Richard Hay, a Christian Member of the Indian Parliament (who had been nominated by the ruling BJP government), to Fr Tom’s family in Palai, to assure them that the government was making serious efforts “to bring the back the priest home safely”. Following the March 2016 attack, initial media reports blamed Ansar al-Sharia, but the Islamist group, which is linked with Al-Qaeda, denied responsibility. Later, the attack was blamed on the Islamic State (IS) group. Militants from both IS and Al-Qaeda in the Arabian Peninsula have exploited the chaos and lawlessness prevailing nationwide since Yemen’s civil war erupted in 2015. “We knew that the situation was difficult and that the sisters were running a certain risk,” Bishop Paul Hinder, apostolic vicar of the Arabian Peninsula, said after the four nuns were murdered. He added that he believed they were targeted because certain radical groups in Yemen “simply do not support the presence of Christians who serve the poorest of the poor”. However, he said this violent Islamist attitude “obviously goes against the mainstream thought of the Yemeni people, the majority of whom appreciate the presence of the Missionaries of Charity as well as their dedicated service to the poor”. In July 1998 three sisters of the Missionaries of Charity were shot dead by a Muslim extremist near the nuns’ clinic for the elderly and impoverished in the Yemeni port city of Hodeidah. The apprehended killer, who told police he would “go to heaven for this deed”, accused the nuns of trying to convert Yemenis to Christianity. Four of Mother Teresa’s convents were set up in Yemen at the invitation of the then-northern government in 1973. The Catholic sisters still serving in these convents in Hodeidah, Taiz, Sanaa and Aden care for mentally and physically challenged children and elderly people.